Umami (pronounced ooo-MOM-ee) is a Japanese loan word. referring to the fifth taste, which completes a revamped five-taste model. Salty, sweet, sour and bitter are fairly straightforward tastes, but umami is slightly different. Umami is a distinct, but difficult to describe, savory taste caused by the interaction of glutamates (amino acids), and ribonucleotides (naturally occurring compounds in food) reacting with receptors on the tongue, or taste buds. Some umami taste buds respond specifically to glutamate in the same way that “sweet” buds respond to sugar. The sensation is difficult to characterize, but some describe it as savory, meaty, mouth-watering, and having depth or roundness. Our recipe for Kalbi Style Grilled Buffalo Steak is an umami fest. Think about biting into a cheddar cheeseburger with ketchup, spaghetti with marinara sauce and a dusting of aged Parmesan cheese, or a salt-kissed slice of Jambon de Bayonne … porcini mushrooms, cured ham, miso soup, soy sauce, anchovies, or even French fries dressed with ketchup. That saliva-inducing, mouth-filling, deep, satiating taste is the umami experience. In addition to being a unique stand-alone taste, umami seems to enhance foods it is combined with, intensifying other flavors as well. Here are just a few super-umami recipes that we like. Check our website for more. You can up the umami in a burger by adding mushrooms. In our mushroom melt, Wagyu burgers are smothered in sautéed mushrooms and truffled fontina fonduta with peppery cress and an herbed Dijon spread for a little kick. Bacon is a perfect umami-filled food. That specific savoriness mingled with smoke and salt makes bacon irresistible. Wrap it around scallops for a double dose of umami flavor. Although the term is relatively new, the concept of umami is ancient. Examples of umami-rich foods can be traced back centuries. The taste appeared in early cured and fermented foods, such as the Roman condiment garum, and fermented Asian sauces such as soy sauce, which is thought to have originated over 2,800 years ago. In the late 1800s Auguste Escoffier, noted the unique character of umami, when he developed his famous veal bone stock. The exquisite dishes he enriched with the stock had a new quality – one that was deep, rich and could not be described as salty, sweet, sour or bitter. Although he couldn’t fully articulate this new taste, which caused French scientists to diminish his discovery, Escoffier knew he had stumbled onto something important. Well-heeled Parisians thought so too, flocking to the Ritz Hotel in droves to experience his dishes for themselves. Not long after Escoffier’s discovery, in 1908, the Japanese expression “umami” was coined when Tokyo University Professor Kikunae Ikeda was studying the palatability of broth made from kombu seaweed. He noted that the taste could not be classified as salty, sweet, sour or bitter. He combined umai “delicious” and mi “taste” to describe the broth’s rich, deep, savory quality and wrote a scientific article outlining his find. 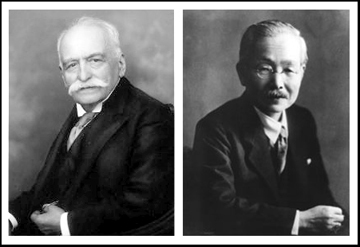 But just as with Escoffier, scientists rejected Ikeda’s findings. The traditional four-taste model was so dominant, umami’s status as a fifth taste was considered controversial until nearly 100 years after its discovery when a new generation of scientists finally took a closer look. They discovered, just as Escoffier and Professor Ikeda had claimed, that indeed there is a fifth taste. And it’s delicious.